Who doesn’t love a wine tasting? See more information about our fabulous rosé filled evening here. 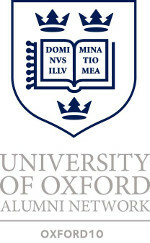 Oxford10 holds frequent events in conjunction with numerous alumni societies. We held one with the Harvard and MIT alumni for an evening of Southern Comfort at Ninth Ward. Details here. Oxford10 would like to invite you to some summer drinks, how about a spot of Pimm’s on the Thames! The event will take place from 6.30pm on Thursday 22nd June at the Banker pub. Purchase your tickets by following the following link here to the Eventbrite. On Friday 23rd September, join Oxford10 at Bavarian Beerhouse in Old Street for our very own take on one of the world’s great festivals! Join us for a lovely evening taking in the views over the Thames at our own private bar and terrace at Blackfriars on Saturday 20th August.